Apple has started blocking developers from promoting their apps by using a price in the app's name, reports VentureBeat. For approximately the last month, apps that use "free" or other pricing information in their metadata have been blocked in iTunes Connect submissions. Your app's name, icons, screenshots, or previews to be displayed on the App Store include references to your app's price, which is not considered a part of these metadata items. Please remove any references to your app's price from your app's name, including any references to your app being free or discounted. If you would like to advertise changes to your app's price, it would be appropriate to include this information in the app description. Changes to your app's price can be made in the Pricing and Availability section of iTunes Connect. An Apple spokesperson VentureBeat contacted confirmed the changes but declined to offer any additional information. 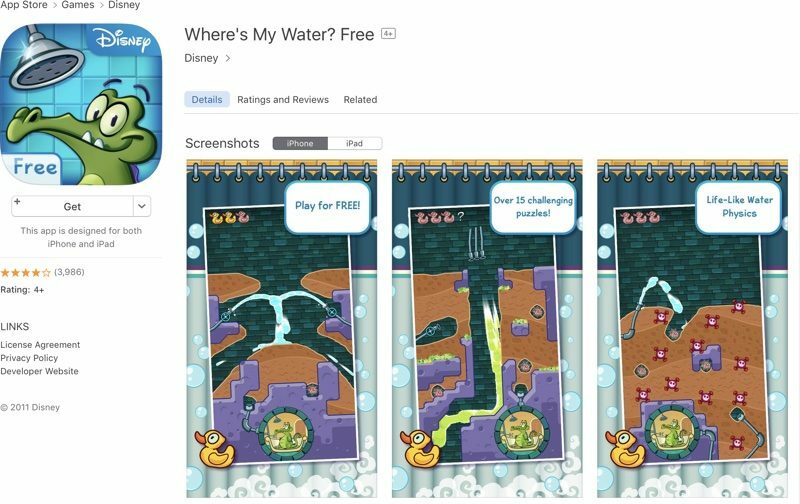 Given that there are still dozens of apps in the App Store that use "Free" in their title, such as Disney's "Where's My Water? Free" or "Doodle Jump FREE," it appears this is a new policy that will affect app submissions going forward. It's not clear if Apple will make apps that are already in the App Store implement a title change. In related App Store news, Apple appears to have mistakenly approved Metadata, an app that sends a notification when a U.S. drone strike is reported in the news. The app, which had previously been rejected a dozen times before, was approved this morning and then pulled just hours later, suggesting its temporary approval was an accident. Previously, the app was approved in 2014 and was in the App Store for almost a year before being removed. One of the reasons I don't browse for apps is all of the junk titles that I see. It's like a cess pool of uncertainty. A developer should release ONE app, a good app, and then have upgrade options within it. Not 10 different variations of the same app at different price points! What would be great is if Apple allowed You to test an app for free for 24-48 hours and then it locked and prompted you to pay for it after the trial. That would help cut down on a LOT of lite versions and would likely entice me to buy more apps. 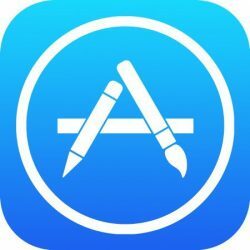 In related App Store news, Apple appears to have mistakenly approved ('https://theintercept.com/2017/03/28/after-12-rejections-apple-accepts-app-that-tracks-u-s-drone-strikes/') Metadata, an app that sends a notification when a U.S. drone strike is reported in the news. That related news. Yea. Super related. Instead of "Free" we'll just end up seeing "Lite" more often. I really wish Apple had a better way to search apps. I mean, the process of searching for apps could be improved SO easily it is just baffling to me that they have not implemented any improvements to searching for apps. So much junk and app pollution it's almost like spam these days. Years ago the Mac had a good "search" function, then they had "Sherlock" and now "Spotlight", and it's like the idea of searching for files has become a totally lost art - it's incredibly dumb how poorly Apple has implemented "find" and "search" functions in iOS, Apple OS, and the App Store, and even the friggin music store! I mean dang it's stupid how poorly ANY apple search function works. I mean finding stuff DOES NOT work with Apple these days - nobody has noticed? Anyone out there remember Eudora for Email? It was awesome and it had a search function that worked. With Apple Mail app and Spotlight I cannot find anything anymore (for the last 10 years). Sorry to rant, but I just got to thinking how much better search functions were back in the 1990's. The world has gotten dumber in some ways. Or maybe I am just old? I think this idea of "top 40" music, or the "top grossing movies" is stupid. Who cares what music or movie is making the most money? Same for apps. I mean I will glance at what is trending popular, but if I come to look for a calculator app that has some spreadsheet type functions in it, I want to get some relevant results from the App Store - instead I get crap. Meta data that is searchable would be nice. I think Apple collects meta data for apps, but then their stupidly designed search engine misses the point entirely. Just a gut feeling. Hope I'm not wasting your time with my rant. Next Up: Put a hard cap on in app purchases per month. For example, no app should require you to pay more than $100 per month. In addition to this, they should not allow developers to sell the same in-app purchase more than once, unless it is a subscription. Games like Clash of Clans use casino like tactics to exploit kids or even adults into spending thousands of dollars. Most SuperCell games have over $20,000 USD of IAPs, which is required to compete with other "Max Level" members. These micro transaction games are cancer, and Apple would do the right thing here by putting a hard cap to protect its customers. That's easy to say now, but there are lots of old apps that can't do that. Before free apps could have in-app purchases, the only way to offer a trial was to have a Free version and a Paid version. Apple changed their rules, but haven't given developers any way to go back and merge their existing apps into one. As a developer with a game from 2008 in the store that has both a Free and Paid version, I'd love to be able to combine them and then only have to maintain one version. Until Apple lets us do that, I'll continue to have two versions. Great, now I wish Apple would put more support into the trial-then-pay model by distinctly labeling apps that have one-time IAP vs repeatable IAP in the App Store. One-time IAP is fine; it's a way to have a free app you can try then pay for the useful features, or to sell DLC in games where you pay once for extra content. Repeatable IAP, though, is a sign of a toxic "free-to-play" product that's designed to be awful and annoying unless you pay repeatedly. I always look at the top IAP for games before getting them, and if it's got anything like "Bag of 100 coins" then forget it, I'm not downloading it. That is just your opinion. Let the market determine what sells. Cars, soda, airline tickets, etc.. many products are sold with variations of features and prices. Consumers do not need to be enticed. The problem is that Apple "allows" things. And you let them do it. Wow, what a socialistic perspective. It is amazing how you are recommending restrictions on the freedom of consumers to choose to live their life as they see fit. Why not limit how much Apple can limit? That would fix the problem of this entire monopolistic ecosystem.